According to bankruptcy statistics collected by various organizations, consumer bankruptcy filing rates in 2010 were the highest they have been in the last five years. There were a total of 1,530,078 personal bankruptcy cases filed in 2010, which is a 9% increase from 2009. In fact, annual consumer bankruptcy filings have increased every year since 2005, when Congress enacted the Bankruptcy Abuse Prevention and Consumer Protection Act. In the United States, 1 out of 150 people filed for bankruptcy relief in 2010. Nevada, with its high unemployment rate, has the highest per capita filing rate with 1 out of every 67 residents filing for bankruptcy. Alaska is the state whose residents are least likely to file, with a rate of 1.6 filings per 1000 people. To put this into perspective, that means that someone who lives in Nevada is about seven times more likely to file for bankruptcy than someone from Alaska. The raw data shows a strong preference for Chapter 7 bankruptcy, with consumers filing Chapter 13 bankruptcies only 28% of the time in 2010. Overall, however, both Chapter 7 and Chapter 13 bankruptcy filings increased in 2010, while Chapter 11 filings actually decreased by 4%. What does this mean for you? If you are in financial distress, it means you are not alone! Many consumers are taking advantage of the relief afforded to them by filing bankruptcy. 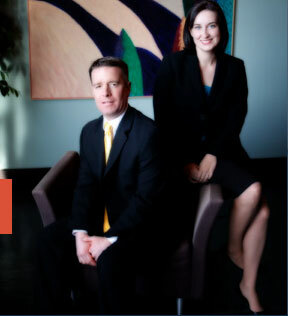 Contact a St. Louis bankruptcy attorney today to start down the road to a fresh start.